So Lonely Planet's experts select the most amazing places to go and things to do in the year 2017. 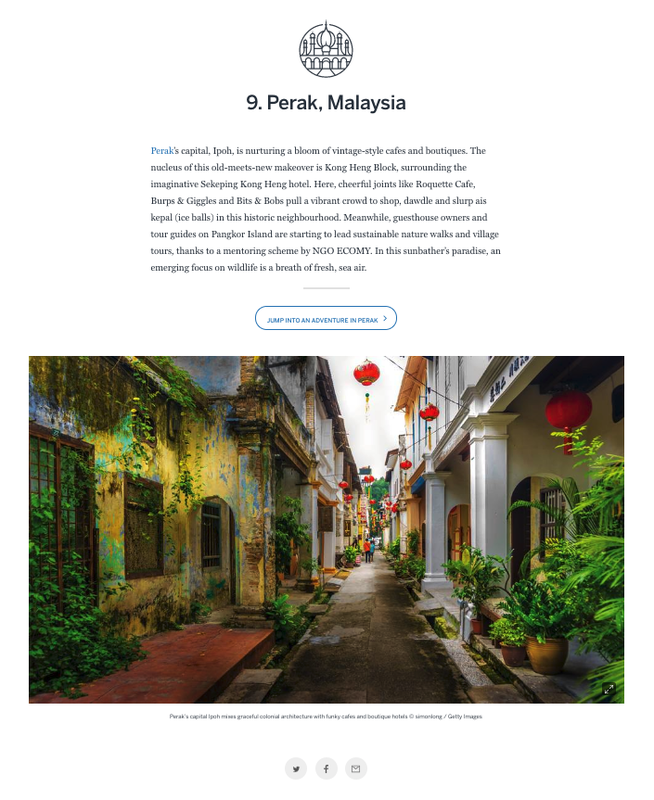 And Perak is selected as Top Regions for year 2017 by Lonely Planet. This story was covered since 3 months ago, recently it's making a hoohah on social media. As one of the world's largest travel guide book publisher, I am not surprise their motives behind include selling this 15 dollar book. Well done. I'm proud of my home state.